If you love showing at great facilities, surrounded by well-matched exhibitors with a schedule that doesn’t leave you sleep deprived, then you need to head to Scottsdale for the The Arizona Fall Championship. The show rolls into WestWorld September 19 through 23. It has been dubbed as “The Show For Everyone”, being well known for it’s fun and exhibitor friendly atmosphere that also provides the kind of first rate experience typically seen at the biggest headliner shows. Exhibitors in 2018 can chose the All Show Fee option of $450 for as many AQHA classes (except cutting) as they want. Or for those with a more limited focus, there is a per class entry fee. AzFC welcomes all levels of exhibitor, and great awards are presented across all those levels. Scottsdale Performance Saddles will be given to the Non Pro High Point champs in Level 1, Level 2 and in Level 3. Classes that will be counted for these awards include the appropriate level or age division of showmanship, horsemanship, western pleasure, and halter or performance halter. Open and Amateur Ranch exhibitors also have a shot at high point champion Scottsdale Performance Saddles. Classes that can be counted for this award include the appropriate division of VRH Trail, Ranch Riding, Ranch on the Rail, Halter or Performance Halter classes. There are Best of Show awards for the All-Around Division in Open, Amateur, Select Amateur, L1 Amateur and Youth. The Ranch/Reining and Cattle Division has its own set of Best of Show awards for Open, Amateur and Youth. Open Best of Show champions in both divisions will receive a Professionals Choice gift certificate for the Bob Avila Collection, a Cinch Jean and Shirt Certificate and a $100 SmartPak Gift Certificate. Reserve for the Open exhibitors will receive a Professionals Choice gift certificate for the Bob Avila Collection. The Amateur and Youth champs will be awarded Rod Patrick Ostrich Boots and Cinch Jean and Shirt Certificates, while the reserve champions will receive Professionals Choice gift certificates for the Bob Avila Collection. There is an All Around L1/ Novice Youth award with the champion receiving Rod Patrick Ostrich Boots, along with a Cinch Jean and Shirt Certificate. The L1 Youth All Around Reserve will receive Professionals Choice Bob Avila Collection gift certificate. 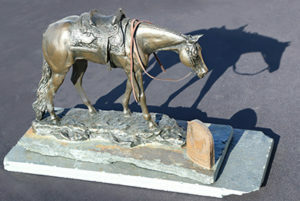 There is also a High Point Level 1/Green Horse award. That champion will be taking home a stylish and unique buckle display box from The Glassy Lady and the reserve will be shopping with their Professionals Choice Bob Avila Collection gift certificate. 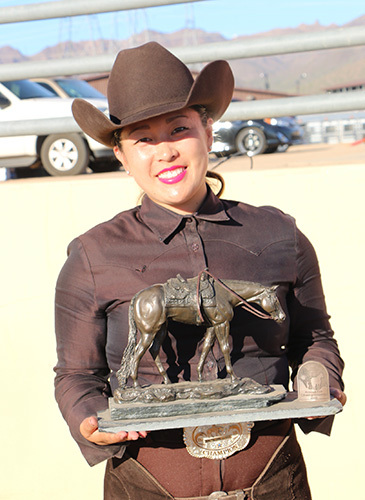 The coveted Championship bronze horse trophies will be awarded once again in all AQHA halter and performance classes that show to 6 judges, and to VRH Open, Amateur, Limited Amateur, Limited Youth and Youth All Around champions. Logo’d Outerwear will be awarded to the Over all Reserve Grand Champion Halter, along with 2nd and 3rd places in the Circuit standings for Performance Halter and all AQHA Performance classes that show to six judges. Vendor Bucks are a fun prize awarded for each judges placing in classes from 1st through 6th. These can be used with any of the vendors on the grounds. You can treat yourself to an ice-cream, or save them up for a big discount on that new hat you have had your eye on. 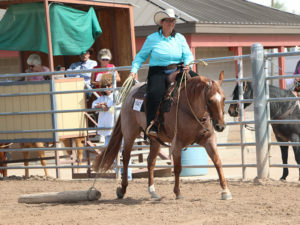 Versatility Ranch Horse classes at the Fall Championship have enjoyed growing and enthusiastic numbers over the years. Saturday, September 22 will feature a VRH day with a full slate of VRH classes for AQHA and All-Breed. Another big draw year after year at the AzFC has been the Cattle classes.This year there will be AQHA Cutting as well as VRH cutting, along with NRCHA added money classes. Amateur exhibitors who show in both Cutting and Cow Horse have a shot at the $1000 added Amateur Spectacular, sponsored by Parkinson Performance Horses & Arizona Reined Cow Horse Association or the $1000 added Amateur Boxing Spectacular, sponsored by Bella Vista Ranch and AZRCHA. Open, Amateur and Youth Ropers will have their turn in the Equidome as well. Many NSBA classes will be held concurrently across the schedule and a couple NSBA Futurities await exhibitors this year. Young horses will be showcased in the 2 year old Open Hunter under Saddle, and 3 year old Non Pro Hunter under Saddle. For the Pleasure Horses, there is a 2 year old and 3 year old Open Futurity, and a 3 year old Non Pro. There will also be a 3 &4 Year old Trail Futurity. There is a lot going on at the AzFC from jumping to cutting, but the schedule is deigned to optimize the facilities and keep great show days do not turn into long nights. Most classes will be held indoors in the North Hall’s two climate controlled arenas or in the Equidome, with its indoor warm-up paddock and ample spectator seating. 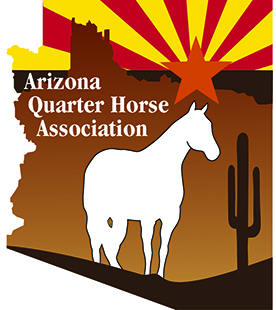 The Arizona Quarter Horse Association will offer an Interscholastic Championship Invitational at the 2018 Arizona Fall Championship show in the North Hall, Sunday Sept. 23 starting at 1:00 pm. There will be three classes of Horsemanship and one Reining class for 6th- 8th grade students. Additionally, there will be four classes of horsemanship and two reining classes for 9th-12th grade students. Each class of the 10 classes will award $1000 worth of scholarships. The show’s legendary Give-Aways enhance its reputation for fun. The Prize Patrol is already hard at work devising interesting challenges for a treasure trove of goodies. From riding challenges to trivia challenges, from hard luck exhibitor awards to random back number draws, the prizes just keep flowing. There is so much offered and so much to win at the Arizona Fall Championship; it delivers a very good value for your showing time and dollars.